How Can Unico High-Velocity Be Whisper Quiet? 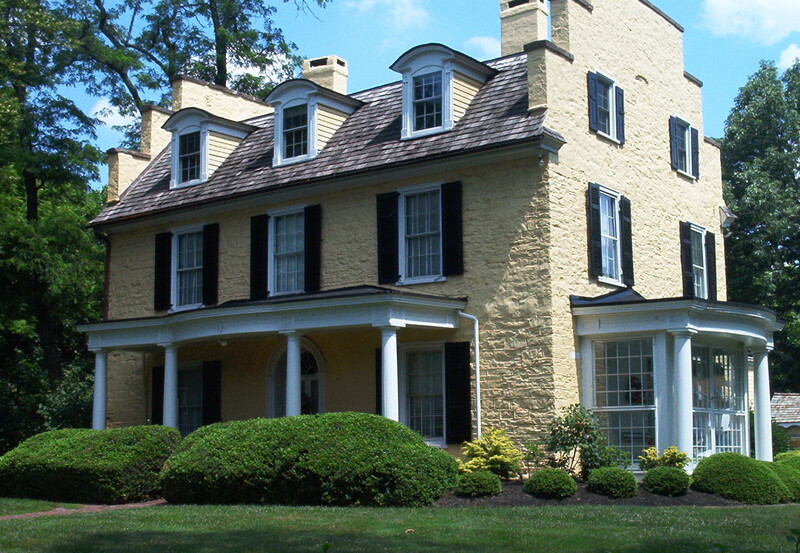 Unico high-velocity keeps older homes comfortable and quiet at the same time. High-velocity might strike the mental image of a jet engine, but a Unico system won't keep you awake at night. In fact, its whisper-quiet operation is the opposite of anything you might have imagined. It's easy to think that something powerful would have to be noisy. But that's just not the case here. The design is smart, and good installation practices make this technology exactly right for older homes as well as new construction. Every possible angle for noise reduction is covered with Unico and ECI. With a Unico system, your busy days, and your quiet nights, will have perfectly cooled air without annoying sound effects. 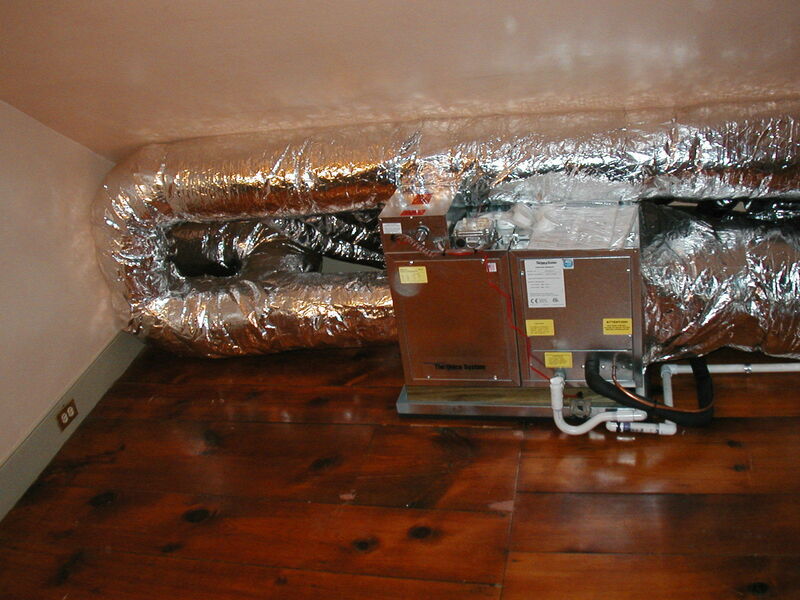 Extensive insulation means no annoying noise, no matter where it's installed. The Unico high-velocity system as a whole was born to be quiet - that's just what it does. Any noise issue that you might have heard about meant something else was wrong. Maybe the installation on another system was rushed; maybe the other installers tried to save time and money by cutting corners. 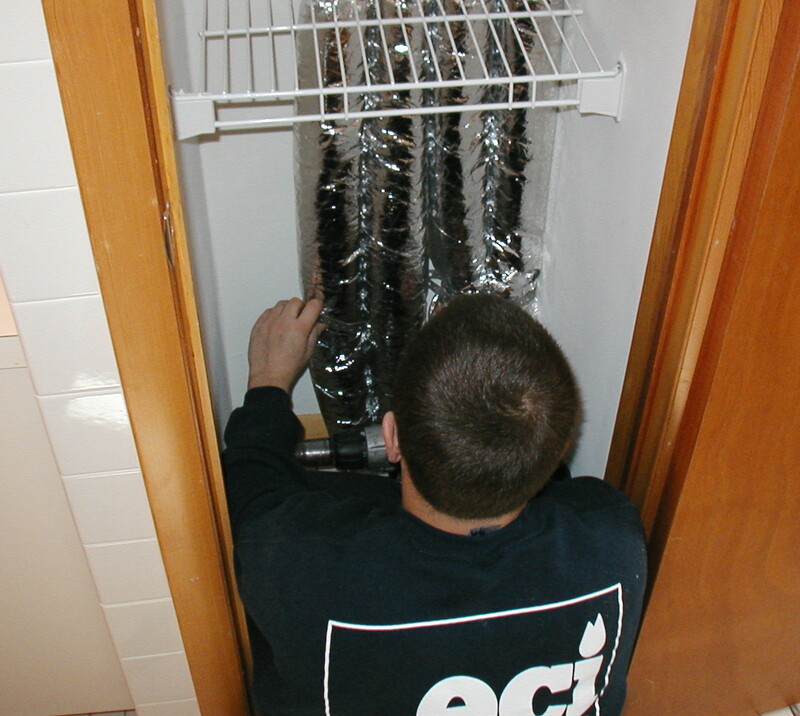 Proper installation gives you sound attenuator ductwork tubes that are sealed and insulated at the factory, and we take the time to install it right. You'll get an air handler with sound absorbing, closed-cell foam insulation and a vibration pad, which goes ever further toward keeping your system hush-hush. Your new high-velocity system will be so quiet, you could install it practically anywhere without creating a racket. No room for ductwork? Even through a closet, it's still whisper-quiet. Unico high-velocity provides wonderful, low-humidity, cool air like a cooling system should do. But instead of air blasting through large vents like an ordinary air conditioning system, you get quiet aspiration. That's the gentle mixing of cooled air from small vents located in unobtrusive areas throughout the room. The compact ductwork, which is about 2 inches diameter, buffers sound so effectively, you may only know that the unit is running if you're standing beside the air handler. But even then, it's still quiet, especially compared to anything else on the market. So quiet, units installed in a bedroom closet won't disturb your dreams. Better still, you can count on no more than a 2 degree variation in temperature in any room. When you take the step to improve your home with a Unico system, you'll be more comfortable than you imagined. But more than that, you won't deal with a noisy, old-fashioned air conditioning system that produces gusts of air. And if you've relied on a window air conditioning unit in the past, you'll never again have to install it when the weather warms only to take it back out again for storage in the fall. The best home cooling solution is the one that doesn't have to announce its presence with the fuss and bother of rattles, rumbles, and condensation running down your siding. With a Unico high-velocity system, all you'll experience is blissfully quiet, clean comfort. ECI can install an amazing new Unico system in your home, regardless of whether new construction or an older home. Give us a call at 215-245-3200 for more information on the quietest cool you've ever known, or click the button below to schedule a free consulatation.